This year’s Golden Globe gongs have been handed out and the winners can now look forward with confidence to the Academy Awards. Careful though: history tells us some great actors got shafted come Oscar night. Hackman picked up the Golden Globe for best actor in a musical or comedy as the head of the dysfunctional Tenenbaum family, but he wasn’t even nominated at Oscar time. Washington is absolutely fine as the crooked cop in Training Day, but you can’t help thinking it was a pity gong after being overlooked in previous years for much better displays (his Malcolm X loss to a blind Al Pacino must have been particularly hard to take). 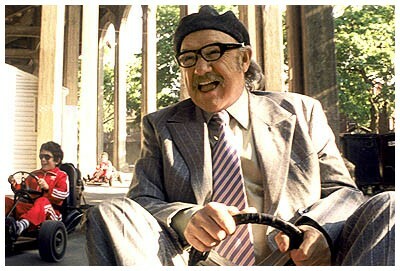 Hackman is fantastic in …Tenenbaums, carrying the film with a funny and emotional performance. One played someone dressing up as a boy with a dodgy tache in Elizabethan England. The other played, uh, Queen Elizabeth. On paper, it’s easy to see why Blanchett should have marched to Oscar glory following her win as best actress in a drama at the Globes. Shakepeare In Love takes a lot of flack from those who think Saving Private Ryan should have beaten it to Best Picture, but it still stands up as a fun, well-acted romp. Paltrow is excellent as Shakey’s love interest but does anyone really believe her performance is better than Blanchett’s powerhouse turn? No, didn’t think so. Susan Sarandon is a good actress. That is not up for dispute. And Nicole Kidman is a pretty divisive figure – you either love watching her or hate watching her. That is also not up for dispute. However, in To Die For she defines her career. Forget the false nose in The Hours, it is her Suzanne Stone Maretto and not her Virginia Woolf that we will be recalling fondly in years to come. Quite rightly given the best actress in a musical or comedy Golden Globe, she wasn’t recognised for a nomination by the Academy. We won’t be recalling Sarandon in Dead Man Walking at all. Now we start getting to the real awards crimes. Like his former wife, Mr Cruise also makes our list. Love or loathe The Cruiser, you must admit that he is nothing less than absolutely sensational in Magnolia, jumping right out of a film filled with fantastic performances. He quite rightly won Globe for best supporting actor, but Oscar voters decided to go with good old Michael Caine and his shocking American accent in The Cider House Rules, a film so sickly sweet that had it been given any more sugar it would have turned into Chocolat (and yes, Lasse Hallström, thanks for directing both those films). 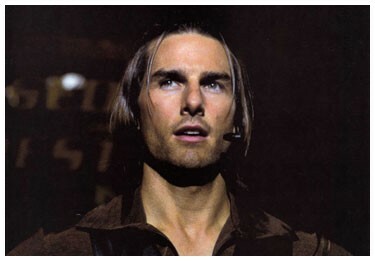 At any rate, the Oscars showed very little respect for the cocksure Frank TJ Mackey, arguably Cruise’s greatest role. If number 2 in the list was a cinematic crime, this is simply a catastrophe. Jim Carrey may be hit and miss at times, but there was no missing his stunning portrayal of a man realising his life is one big TV show. Unless you were an Oscar voter, of course. He won the Golden Globe for best male performance in a drama, so why didn’t he get nominated for best actor Oscar? Often the Oscars ignore the Globe winners in best musical or comedy categories, but here they had no excuse. Mind you, there were some good candidates that year. So who did they give it to – Ian McKellen for his measured work in Gods And Monsters? The solid-as-always Tom Hanks in Saving Private Ryan? Or maybe the voters went edgy and Edward Norton took the honour for American History X? No, no and no. The Oscar went to… some guy who tried to turn the Holocaust into a comedy, climbed all over the seats and whose next film was Asterix And Obelix Take On Caesar. Blimey. WHAT GOLDEN GLOBE-WINNING PERFORMANCES DO YOU THINK SHOULD ALSO HAVE RECEIVED OSCARS? This entry was posted on January 20, 2010 at 9:19 am and is filed under TOP FIVES with tags Golden Globes, Movies, Nicole Kidman, Oscar, Oscars, Tom Cruise. You can follow any responses to this entry through the RSS 2.0 feed. You can leave a response, or trackback from your own site. Interesting stuff, lads, really good list though the words Cruise and Oscar should never go together – and not just because he is obviously heterosexual. Hackman should just be given an Oscar every year. How about 2009, Kate Winslet won for Revolutionary Road. Then the Oscar went to Kate Winslet for The Reader. Personally I think Anne Hathaway should have won for Rachel Getting Married but if they were going to give it to Kate Winslet they really should have given it to her for the better performance in the better film. How’s about 2000 when Tom Hanks won the Globe for his performance as Chuck Noland in CAST AWAY, only to be passed over come Oscar time for Russell Crowe in GLADIATOR? 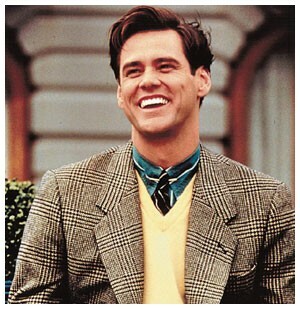 Jim Carrey should definitely have won for The Truman Show. Didn’t Benigni get Best Director anyway…they could have at least shared the love! 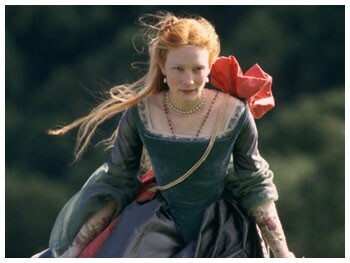 Great list, yes Cate Blanchett was brilliant in Elizabeth!!! What about last year with Mickey Rourke and Sean Penn? I’m with Caz on Mickey Rourke and Sean Penn, that was criminal right there. Good list though, guys. With you on every last one of ’em, especially Blanchett, she was no joke in that movie and I can’t freakin’ stand Shakespeare in Love. I agree with you that they were all better than the Oscar winners, but the only ones I would have given the Oscar to were Cruise and Blanchett. I would have gone with Tom Wilkinson for In the Bedroom over Hackman, Emma Thompson in Sense and Sensibility over Kidman and Ian McKellen in Gods and Monsters over Carrey. But you missed Sissy Spacek in In the Bedroom over Halle Berry and Meryl Streep in Adaptation over Catherine Zeta-Jones. It’s bull-crap because Hackman’s performance was just so great and tragic, and just to see him lose to Denzel, who is great, made me upset. Knowing that just because Denzel needed an Oscar, didn’t mean for Hackman a total veteran to be ripped off. Every time I watch The Truman show again, I feel mad that Jim Carrey did not win an Oscar for this role. It certainly has stood the test of time, and I enjoy the movie now as much as I did when it came out. They really nailed it on this movie. You feel sad for him , and happy for him at the end, and also there is something deep in this movie that runs through it. The music was well done as well. Sorry Jim, you deserved an Oscar for this movie for sure. Great list, Ross. Man, only the Academy would think Paltrow is a better actor than Blanchett [shakes head] I didn’t see Sarandon’s performance but Kidman was phenomenal in To Die For. Joaquin warrants a nom as well IMO.